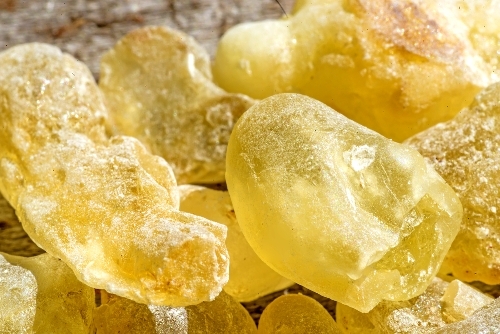 Sacred Frankincense is an herb grown mostly in Oman, east of Saudi Arabia and north of Yemen on the Arabian Sea coast. It has been used medicinally for thousands of years for several ailments by Ayurvedic medicine and other more localized traditional medicines. And it is believed to contain elements that treat cancer while unharming normal cells. However, research was started a couple of years ago with the goal of isolating active ingredients in the herb that Big Pharma may mimic with lucrative FDA approved patents. Meanwhile, next to nothing is mentioned publicly about natural frankincense oils as a remedy for some types of cancer. International laboratory research has demonstrated frankincense essential oil’s ability to shut down cancer cells without harming healthy cells. It shuts the cancer cells down by probing the nucleus and resetting the cancerous DNA to normal cellular DNA. Dr. Suhail disagrees, so he’s experimenting with the ingredients to determine which one or ones should be isolated to be synthetically reproduced by Big Pharma, enabling them to create a profitable patented cancer drug based on frankincense after years of testing. Why Not Use the Essential Oil from Natural Boswellia Sacra? The research cover story is that they want to make sure they have the right ingredient(s) and to eliminate unnamed allergenic agents that are not actively involved with killing cancer cells. In Oman, however, where many use abundantly grown frankincense, there are no cancer patients in either of the two hospitals. Also, there are no serious allergic reactions among Oman’s citizens. Conversely, there are many adverse side effects from chemotherapy, including death. So the research cover story is bogus. Harmful side effects haven’t slowed Big Pharma’s pursuit of big bucks in the least. Profitable FDA approved patented medications require laboratory synthesis. Natural solutions can’t be patented. Frankincense essential oils are also currently being used in some European hospitals to bolster immunity and elevate moods. None of this report is intended to be medical advice. The 100 plus natural cancer solutions in existence were not derived from extensive trials and patents. They were used on cancer patients, resulting in ‘cure’ rates way beyond mainstream medical results without miserable side effects. If one is unable to attend a special alternative cancer clinic, experts recommend using two or three available natural protocols at home while avoiding sugar, processed foods, and chemical additives with a “cancer diet”. There are several articles on different alternative cancer options. Currently, The Cancer Tutor provides one of the most comprehensive and detailed databases which includes almost all alternative cancer remedies. Pure unadulterated frankincense oil may become another cancer treatment option for the medical mafia to suppress.